A personal visit to any of the communities for adults 55 and older that you may be considering as a permanent home is critical in your decision-making process. But it’s understandable if you feel a bit overwhelmed by the many places that turn up in your internet search for age 55 communities in Central Florida. The absence of snow and abundance of activities to keep older adults busy have combined to make this part of the world a natural place to develop such active lifestyle communities. The best way to zero in on age 55 communities that demand a site visit is to determine your priorities, including what you’re looking for in resort-style amenities and how affordable they are. In Central FL, it’s hard to beat Bear Creek in Ormond Beach when it comes to an affordable, gated community that offers a generous level of amenities and services for a low monthly home site lease payment. Bear Creek residents also enjoy a high level of services compared with other age 55 communities. These perks include trash pickup, lawn mowing, and an on-site security staff. 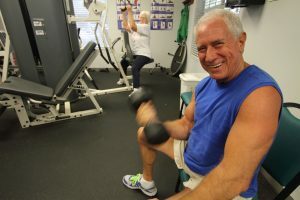 These are only a few of the reasons you’ll want to put Bear Creek at the top of your list of Central Florida communities for adults 55 and older to visit. Contact us today to schedule your tour of our beautiful community.